It's about SHUCKING time! Tickets Available NOW! 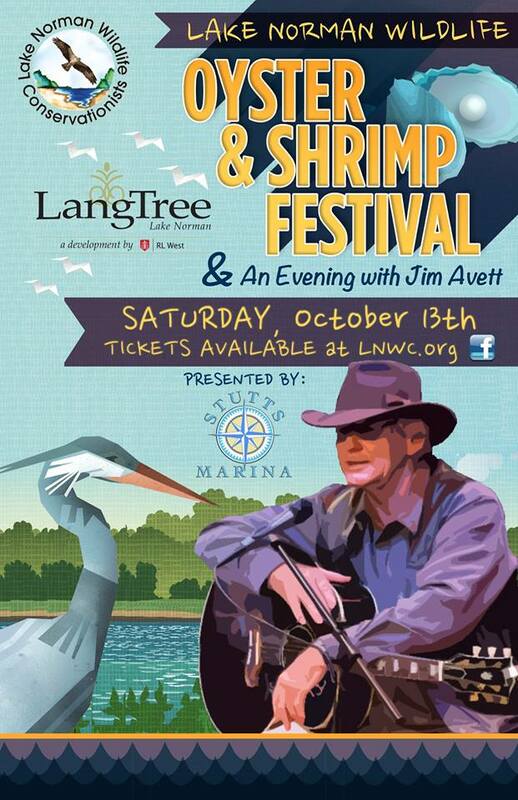 Tickets are now on sale for the Lake Norman Wildlife Oyster & Shrimp Fest & "An Evening with Jim Avett" @ LangTree Lake Norman. As always, the event will include great food and beverages, live music, and tons of family fun! Back by popular demand, the VIP package is being offered again in 2018! The VIP package includes a collection of amenities and memorabilia that will not only give our attendees something to take home with them, we know that it also will make their Oyster & Shrimp Fest more enjoyable! VIP tickets are limited, and this event is sure to sell out in the coming weeks, so be sure to take advantage of this great offer before tickets are gone! Get yours NOW! VIP = $100 - includes: Fest admission & food; an LNWC Cleatus Cup with 6” dock cleat handle and an LNWC engraved wine glass; complimentary beer and wine; an LNWC oyster shucking souvenir towel & knife; and an LNWC tote bag! General Admission = $60 - includes: Fest admission & food; cash bar (beer & wine -proceeds benefiting LNWC); an LNWC custom engraved oyster shucking knife, live music, and access to some fantastic silent & live auction items. Fest Menu Includes: steamed oysters & shrimp; corn on the cob; green beans; cold slaw; hush puppies; BBQ; banana pudding; rolls; sweet tea; unsweetened tea; lemonade; and water.